What is it about the Wooly Mammoth? I've always been fascinated by Ancient Cultures and the striking art they created. So much of their art was incorporated into their everyday tools. Often the only time we are around these items is in a museum, and then we have that magical connection for only a few minutes. I wanted my work to be an extension of that ancient art and symbol..something we can have everyday to remind us that we were once there, our roots go back that far. Todays world is a fast paced impersonal experience for many, unconnected to the magic of the past. I see my work and these materials as a way to give us that connection. The Wooly Mammoth lived in an area that is now permafrost, which means that the tusks and bones were not subjected to decay as in other climates. 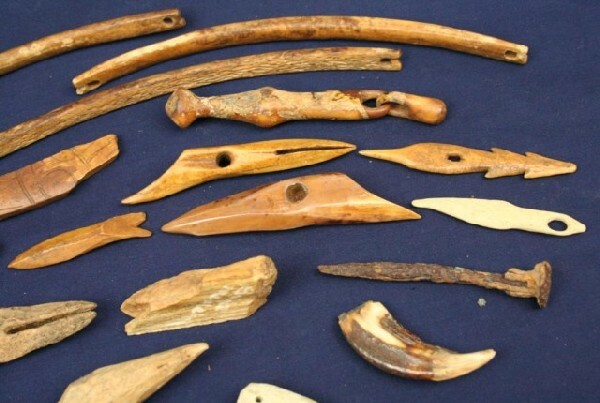 Many of the early peoples used bone and tusk in place of wood to build tools such as harpoons and sled runners and even houses. Remnants of these tools can still be found today. Their existance was highlighted by the folks who traveled to Alaska to build the Great Alaska pipeline, many were able to use the fragments for knife handles, or scrimshaw, and eventually the material found it's way into jewelers hands who were eager to find a material that helped conserve todays elephants. I'm excited to say this time next week, I'll be in St. Louis for the Historic Shaw Art Fair, it's an established show in a special neighborhood, and also takes place concurrently with the Botanical Gardens show..I hope I have time to see that as well as meet up with my Art Fair Pals...For this two day show, I'll be bringing new work with rich textures of silver and gold paired with bright small opals..it's a great time to add a new piece to spice up a fall wardrobe..come see us!